Betty Howell Banks, age 88, of Lawrenceburg, TN passed away Thursday, November 15, 2018 at Maury Regional Medical Center in Columbia, TN. 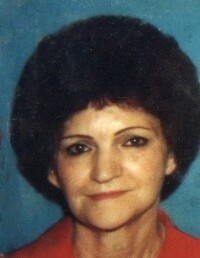 She was a native of AL, and retired CNA from The Summit of Lawrenceburg. She was preceded in death by her parents, Bill and Minnie Beatrice Judkins Ingram; her husband, Horace W. Howell; and four siblings. Arrangements are being handled by Neal Funeral Home, 231 N. Military Avenue, Lawrenceburg, Tennessee. The family will receive friends from 4:00 PM to 8:00 PM Tuesday, November 20, 2018 at Neal Funeral Home. Funeral services will be conducted at Neal Funeral Home at 3:00 PM Wednesday, November 21, 2018, with Rodney Krick officiating. Interment will follow at Bumpas Cemetery in Lawrenceburg, TN.